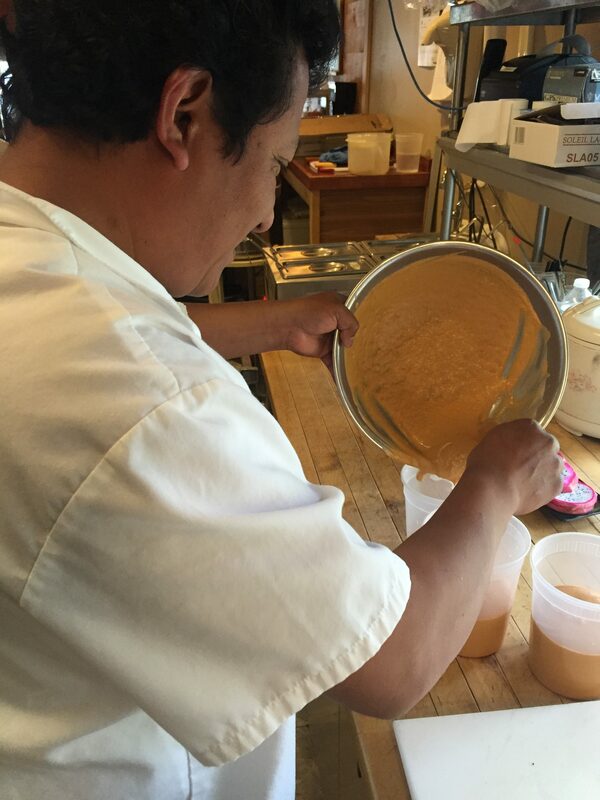 Here we see Angel preparing our Red Thai curry sauce, which he does daily. The sauce is made for our Red Thai curry vegetable stir fry, a great vegetarian vegan gluten free option. Come see whats its about!